This is the first time I had worn plaid in such a long time! 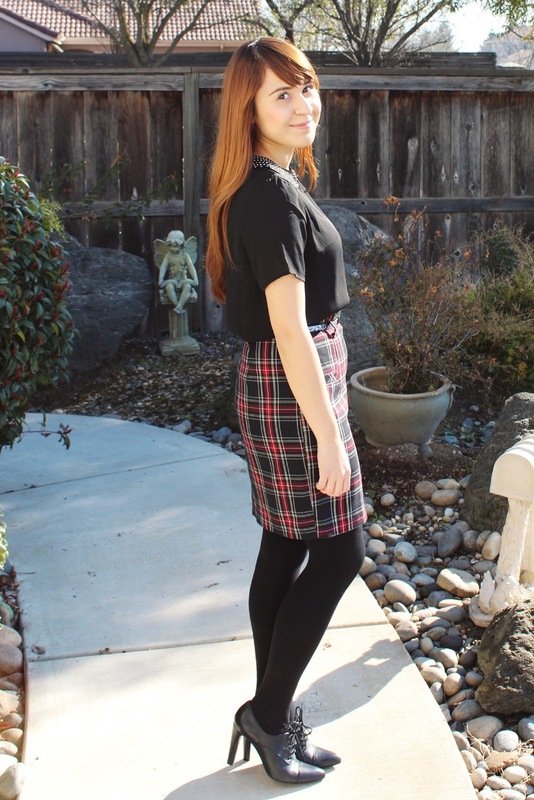 There was a time in my life when I would be wearing a plaid skirt with some fishnets and a pair of black converse. This skirt took me back to those days for some reason. 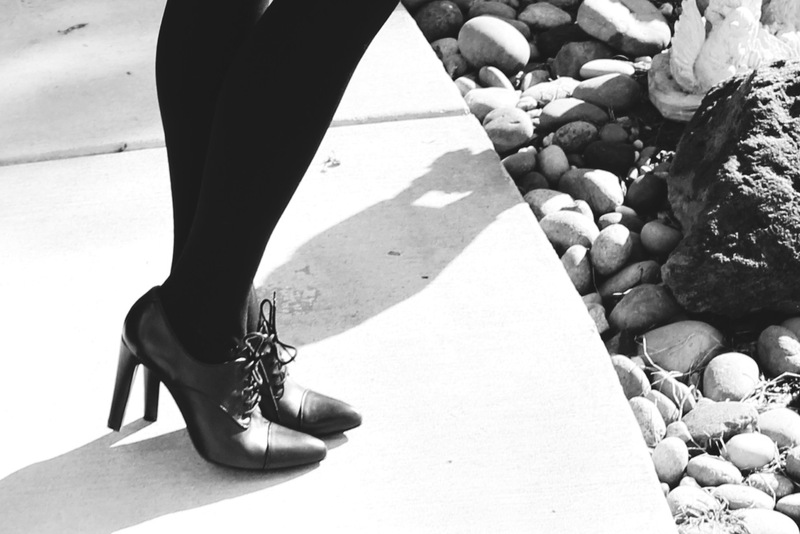 I don’t have a very edgy style, but I think I would like to add a little bit of edge to my outfits in the future. While I was at Forever 21, I came to the realization that I buy too much of the same thing. 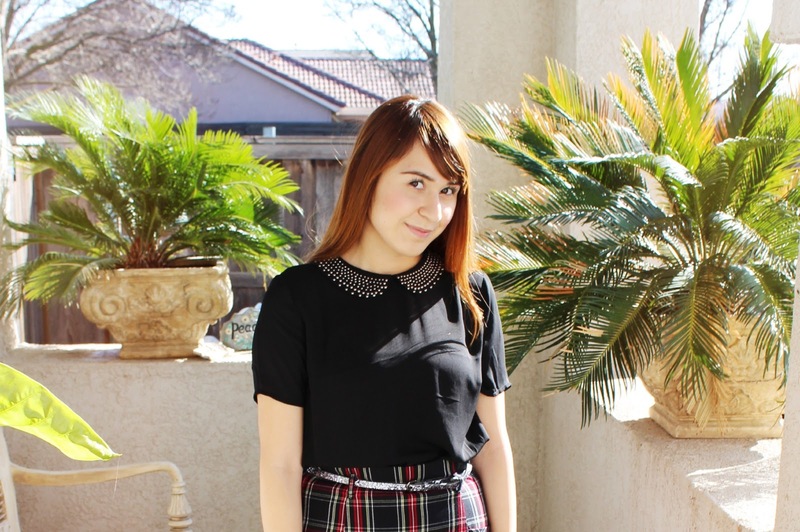 I always opt for bows, polka dots, and peter pan collars. While these are all lovely, I think I have enough of it in my closet. I want to add a little bit of variety! So here starts the challenge of not falling into the polka dot trap. Well, maybe sometimes. I'm a firm believer in going with what you know works. For me, it's a lot of black, stripes, polka dots, giant jewelry, cat eye makeup, etc. It's kind of trendy now, but whatever. It's me and it'll continue to be my style for the foreseeable future. I love this look! So cute on you! That's so true! I know polka dots and I truly doubt I can stay away from them! Haha! Thanks, love! I don't think I could quit polka dots no matter how hard I try!